Home › FTF Blog › Spreading the Love! New Red Wristbands! Spreading the Love! New Red Wristbands! When I was about 2 years old my Mom was pushing me around the block in a stroller. We turned the corner and ran into another lady who was also pushing a stroller. Sitting in the seat was a red-haired, freckle-faced little boy who just happened to be the same age as me. From that day on we were like two peas in a pod. He became my best childhood friend. We did everything together. We've since "grown up," gone our separate ways, and don't see each other much because we have families of our own now. But on the rare occasions we do run into each other again, the deep connection of the friendship we had is still there. It's like the feeling you get when you run into an old friend you haven't seen for a long time and start talking and laughing like you've never been apart. Friendship is one of the biggest gifts we can be blessed with in life. I try my best to live my life with this in mind. During my last days (hopefully many years from now) I want to look back with a sense of peace knowing that I took the time and energy to create deep, lasting friendships with as many people as I could with the time I had. With this in mind, our New Red Wristbands come in packs of two. It is our hope that if you purchase them you will keep one band for yourself and give the other to a friend. Let the wristband be an excuse to go meet up with an old friend you haven't talked in a while. You'll be surprised how fast you will be able to pick up right where you guys left off, have some laughs, rekindle fond memories of yesteryear, and maybe, just maybe, even create some new ones! 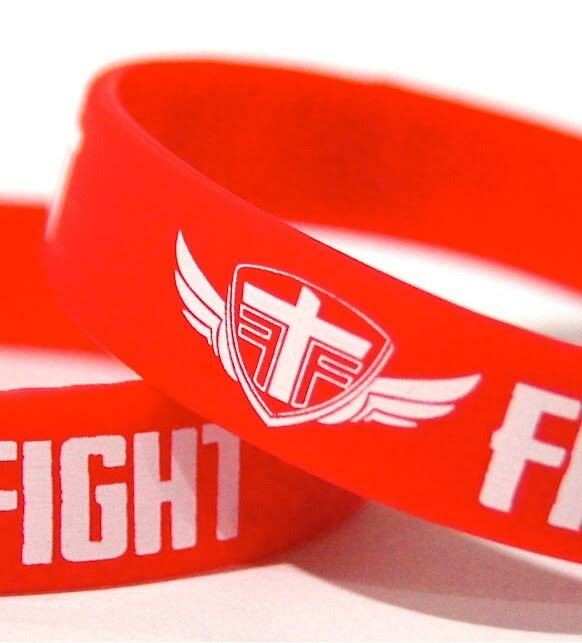 The wristbands are red with white ink, and one size fits all. They are individually wrapped and come in bundles of 2. Shipping is FREE! "friend"to receive 5% off your order.